BlackBerry smartphone rumored to be launching a new series at an affordable price. BlackBerry has an interface similar to the BlackBerry Gemini, but the position of the five main keys is more advanced. According to information from sources who asked not to be identified, the Research in Motion (RIM) smartphone will sell it at a cheaper price than the initial price of Gemini. 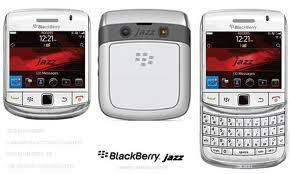 for memory and processor, the smartphone will likely use the name "Jazz" has been following today's advanced mobile phone standard, which reached 1 GB. unique features offered on the BlackBerry RIM Jazz, which is not available on other BlackBerry, is the addition of the BlackBerry Messenger (BBM) on the left side, rather below the charger port. With the existence of the BlackBerry Messenger (BBM), the user has a shortcut that is more practical when trying to use the BlackBerry Messenger (BBM). Until now, the RIM has not issued an official statement related to the plan the launch of the latest mobile phones is expected to be launched mid-year.